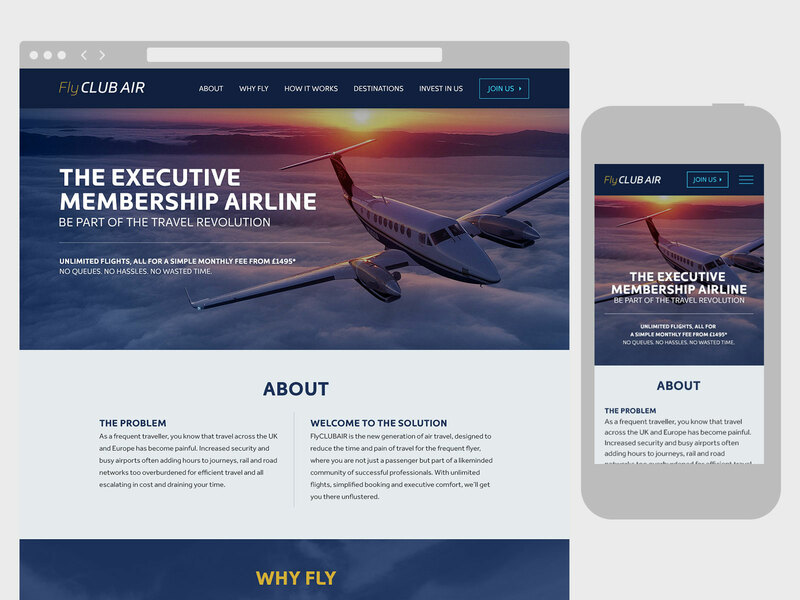 FlyCLUBAIR is an aviation startup wanting to disrupt the private jet market. 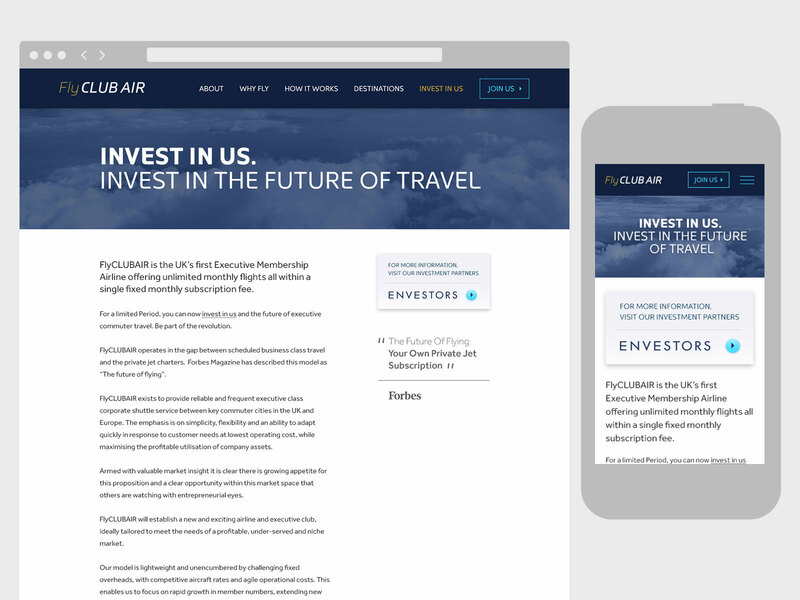 To generate interest and investment, they required a new brand and website to help them reach their funding goals. 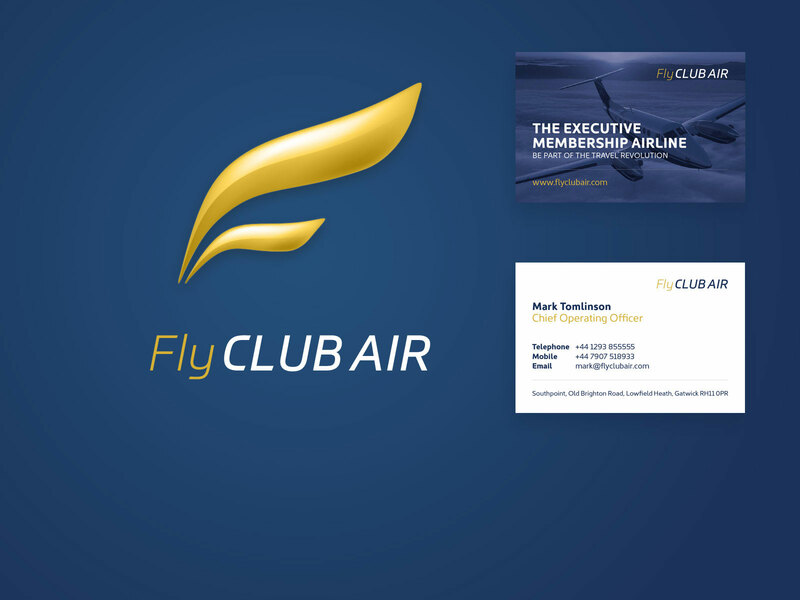 As the main designer, I helped develop their brand and website. From inception, the general theme was premium yet accessible. The UPS of the startup was to reduced the cost of hiring a private jet so it had to feel more inclusive than its competitors. 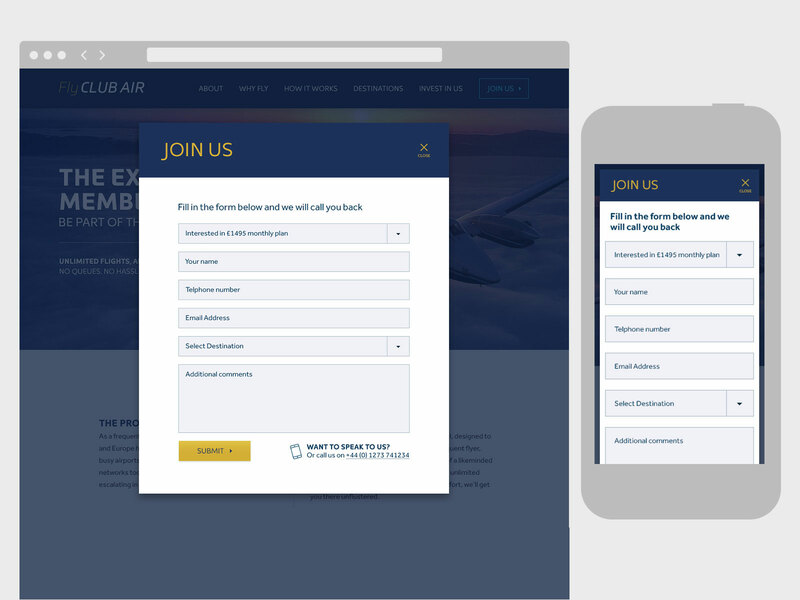 Working directly with the client, an initial look and feel was quickly established. Co-currently additional members of the team were developing the structure of content, and this became the basis of the main website.